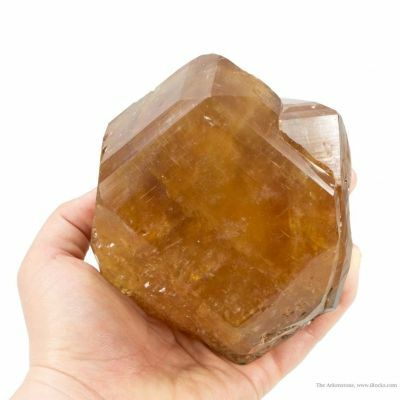 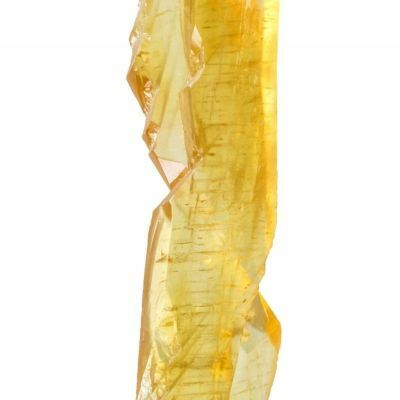 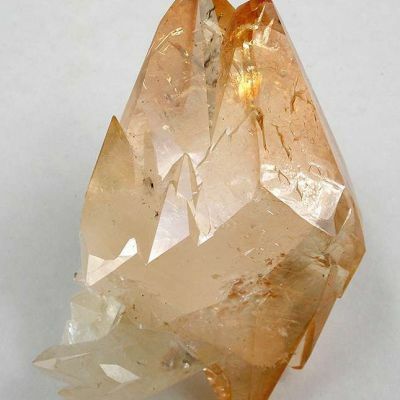 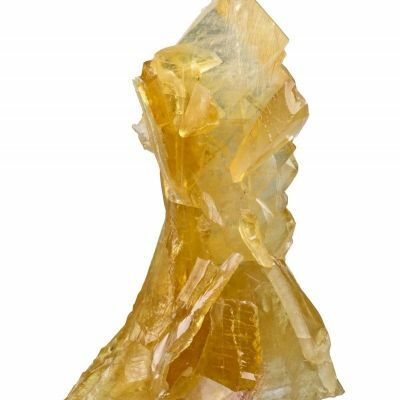 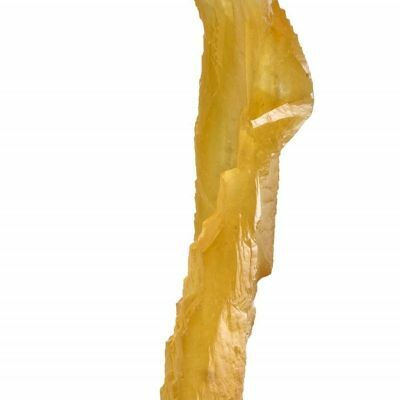 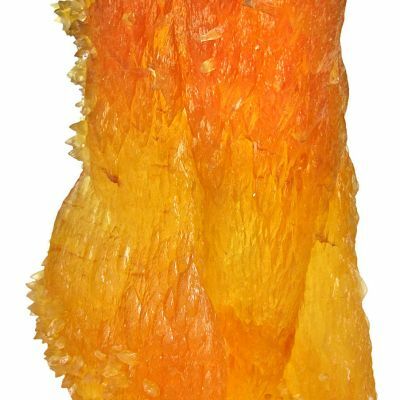 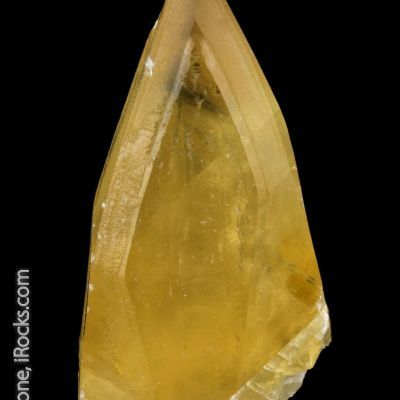 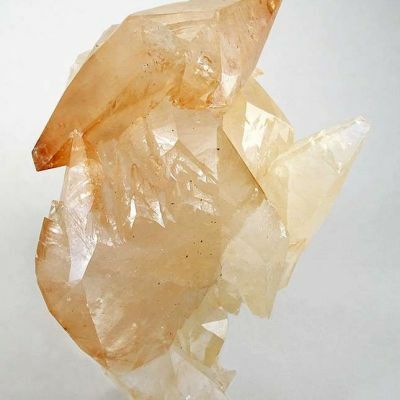 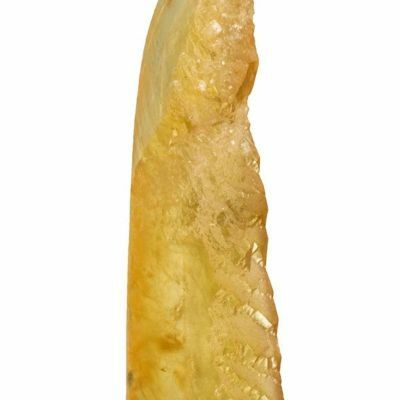 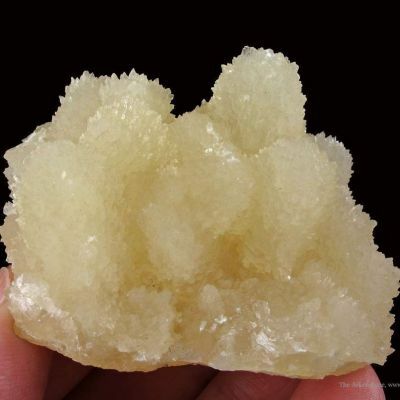 A striking 3.8 cm GEMMY calcite with the most incredible superb luster, and great 'brightness.' 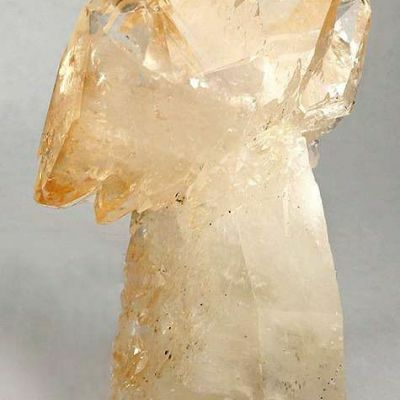 What is so unique about this piece is the elongated habit and what appears to be Spinel twinning. 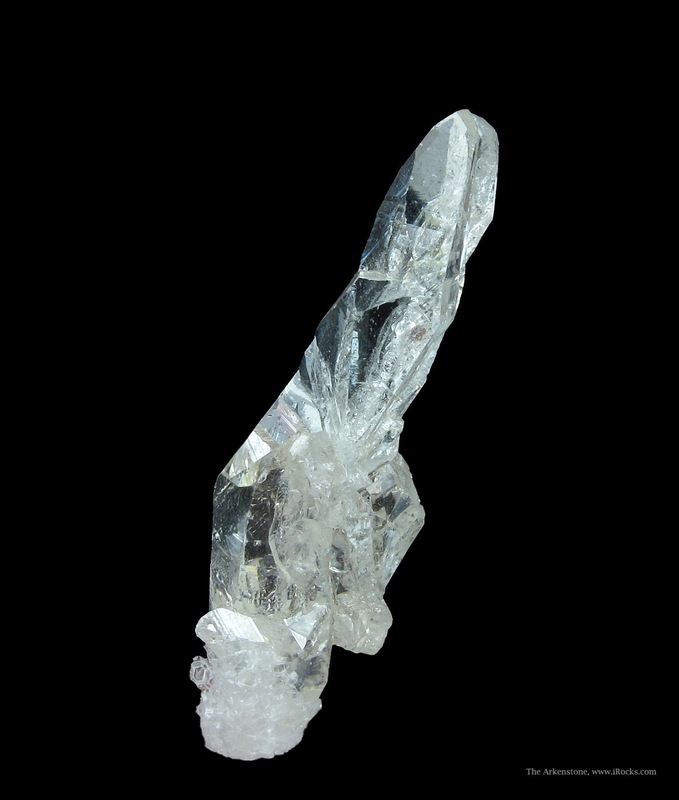 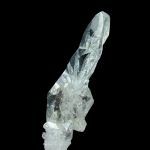 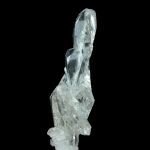 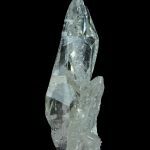 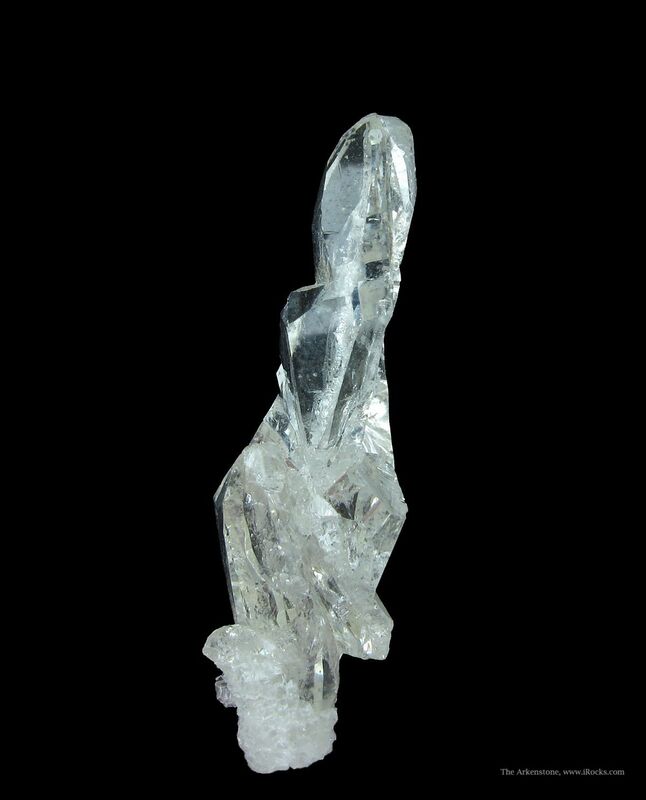 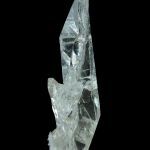 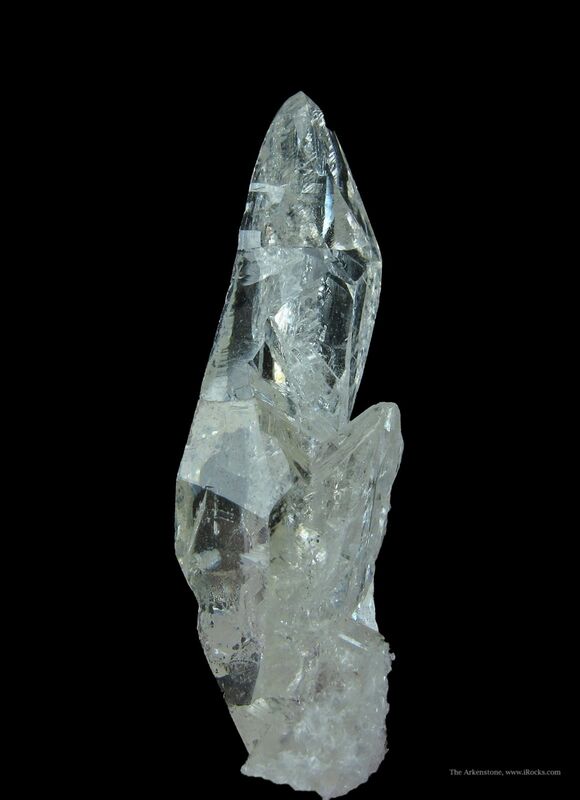 The entire length is dominated by one single crystal. 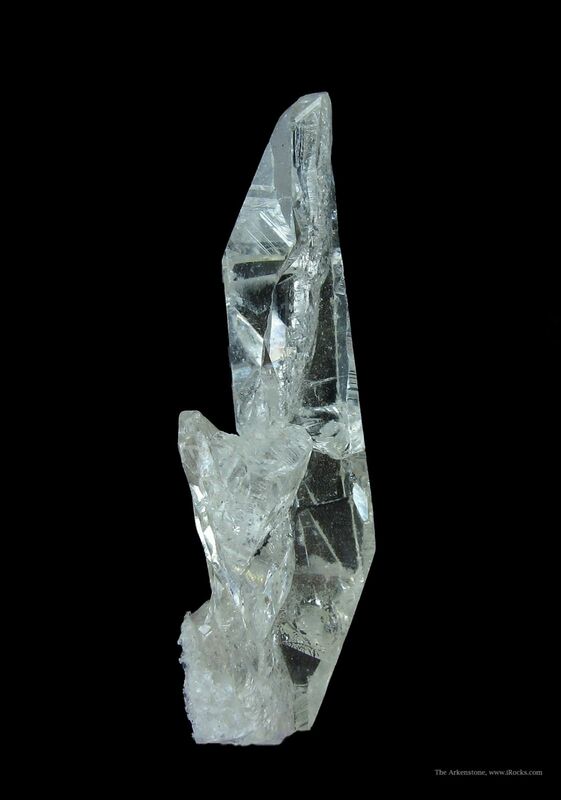 The calcites are really like glass, and I have not seen its equal for habit. 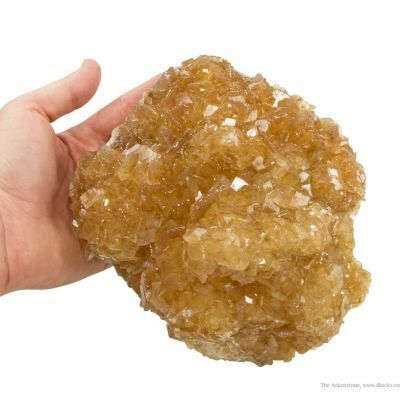 These were from one special pocket in the mine in the late 1980s and have since been sold routinely as Moroccan anglesites when they turn up again on the market. 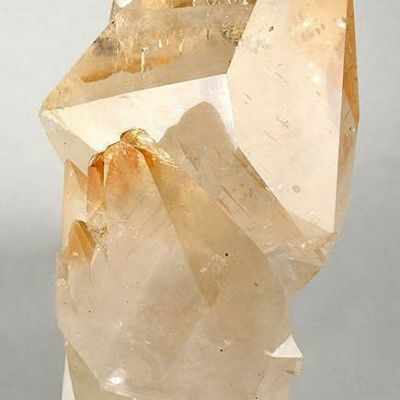 This is only the second such piece that I have owned. 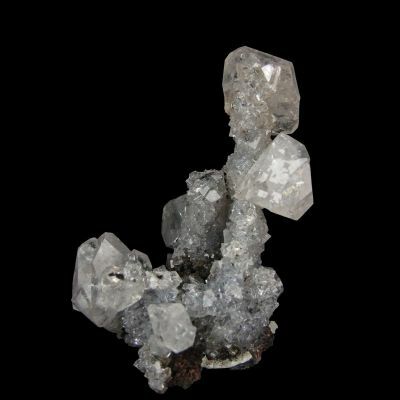 It was sold to the former owner for $2000 as an anglesite. 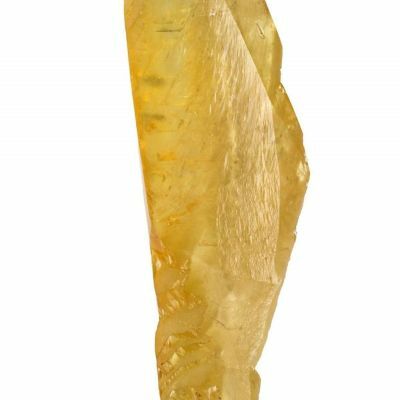 Top-notch Anglesites from the famous locality of Touissit are hard to find, and this calcite could pass! 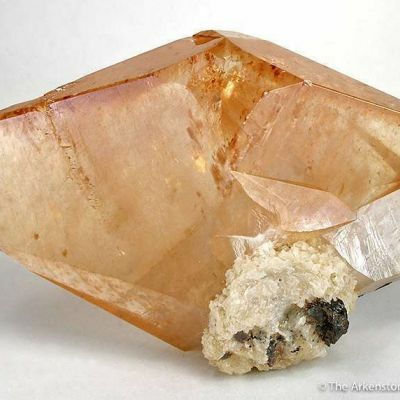 But it is, indeed, a calcite. 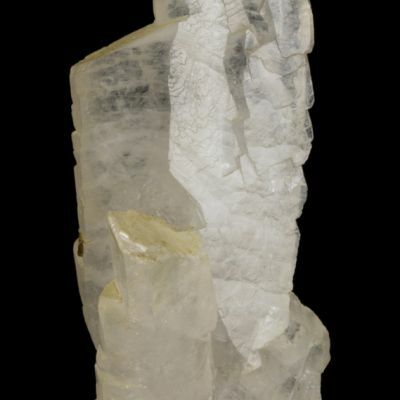 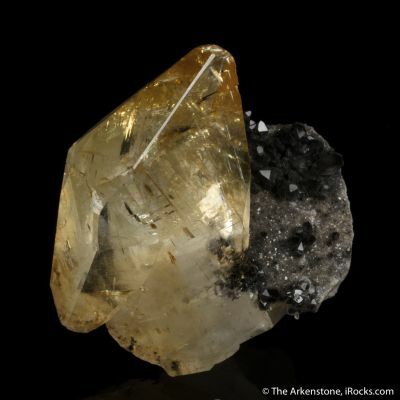 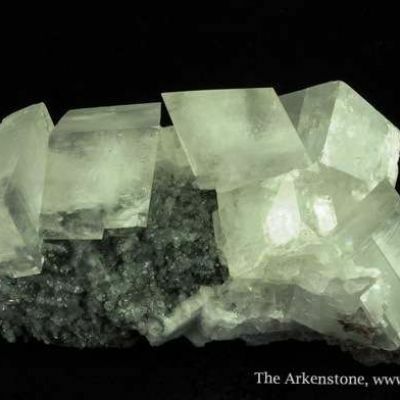 The weight is wrong for anglesite, though it looks like it more than calcite.